…..• General suggestions applicable to any theme of the book. …………..follow the Creative Reading Methodology which can be found in this website. …………• Group and individual activities. 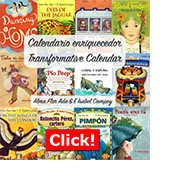 The book is published in English and Spanish, in two individual versions. 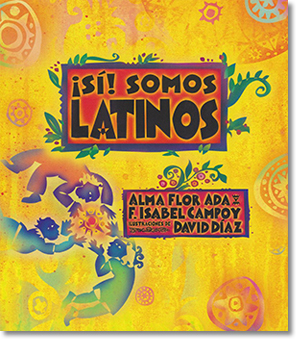 Offers an opportunity for students, Latinos and non-Latinos alike, to explore their own identity as well as to understand better the identity of others while learning about important aspect of Latino culture and history. Each theme is introduced by a significant moment in the life of thirteen boys and girls of diverse background and circumstances. 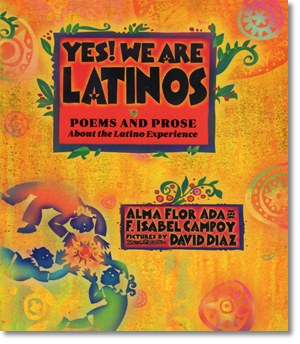 Each literary presentation in free verse is followed by a non-fiction section that shares information about different aspects of the Latino culture, but since it is not strictly a historical book, the chapters can be read in any order. You may want to allow students to choose which chapters they want to read first. The choice may be based on the place where the character lives, the character’s background, or even the character’s name. And consulting the Transformative Calendar which offers suggestions of poems, songs, books appropriate for each month and for special days throughout the year.